There are two ways to upload Vidyard videos: (i) from your 3Play Media account or (ii) directly from your Vidyard account. This article explains the latter- using tagged-based auto upload to submit captioning requests directly from within Vidyard. After your Vidyard account has been linked with your 3Play Media account (a one time process), you can upload files to 3Play Media directly from your Vidyard account (without logging into your 3Play Media account). 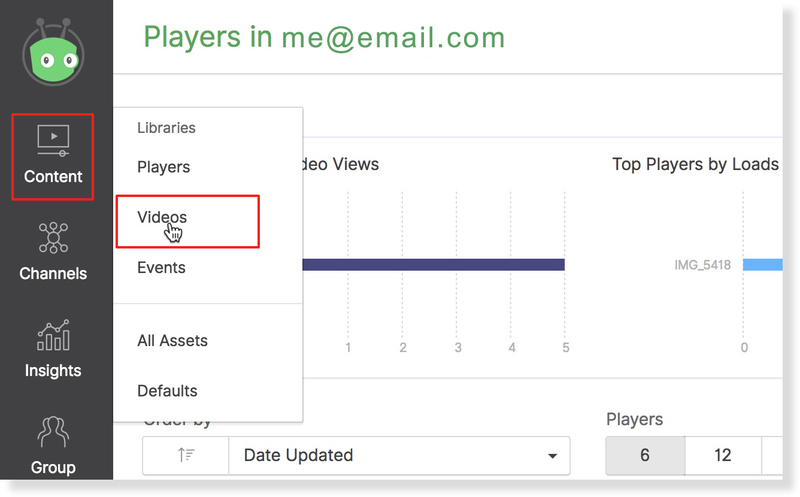 By tagging videos in your Vidyard account with the tag 3play_standard, 3Play Media will know to automatically upload those videos for processing. Different turnaround service levels can be assigned by applying a variation of the 3play_ tag as detailed in Step 5. Videos can be tagged for Standard, Rush, Expedited, Same Day, and Extended turnaround service levels. Please note that to submit captioning requests using tag based auto upload from your Vidyard account, this integration feature must be set to ON within your 3Play Media's linked account settings. If this feature was not enabled when the accounts were linked navigate to Upload > Linked Account > Select your linked Vidyard account > Settings. Once set to ON click Update. Click on the Content tab located on the left-hand side of the page and then click Videos. Hover over the video you want to submit to 3Play Media for closed captioning and click Settings. Locate the Tags section below the Name and Description fields on the General section of your Vidyard asset. In the Tags field add (or type in) the tag 3play_standard to submit the asset for the Standard four (4) business day turnaround service level. See the list of tags below for the other available turnaround service levels. Once the tag is typed click the + icon or hit enter/return on your keyboard. The tag should now display in a below bubble below the text box field. Add the following tags to assign a different turnaround time for your request. Please note that the Audio Description will only postback if Postback Video with Audio Description Track is turned on. Ask your account manager to activate the AD fast turnaround module, which will turn on faster turnaround times for AD. Once you have added a 3play tag to the video click Save Changes and your Vidyard video will be submitted for closed captioning. You will receive an email from 3Play Media confirming that the files were successfully uploaded. Please note that to have closed captions automatically added to a Vidyard video upon completion of the transcription process, Postback Captions must be turned On in the settings for the linked account associated with your Vidyard account. If this feature was not enabled when the accounts were linked navigate to Upload Media> Linked Account > Select your linked Vidyard account > Settings. Once set Postback Captions is set to ON click Update.